- Huawei Watch 2 4G supports a SIM card. Get calls and messages whenever you go, NFC support enables Android Pay for quick and easy payments even without your phone. - Sports optimized tailored training plans, reports, and suggestions with multiple exercises featured. With GPS and continuous heart rate monitor to help track your fitness. - Compatible with Android Wear 2.0 and iOS. See important details at a glance including incoming calls, SMS messages, emails, calendar events, and notifications from social networking apps. - The Huawei Watch 2 is compatible with standard 20mm straps so you can swap them easily, choose from over 40 watch faces at your fingertips to suit your style. 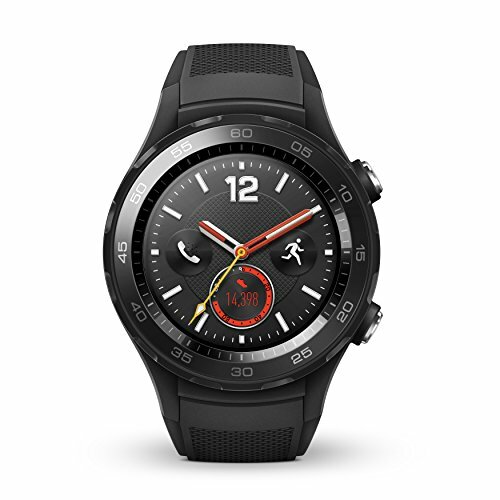 - Wear your Huawei Watch 2 anywhere, with IP68 water and dust protection, the Huawei Watch 2 is designed to conquer the elements.